As the holidays approach, many people are at a loss as to what to give as a gift to a dear friend or family member. 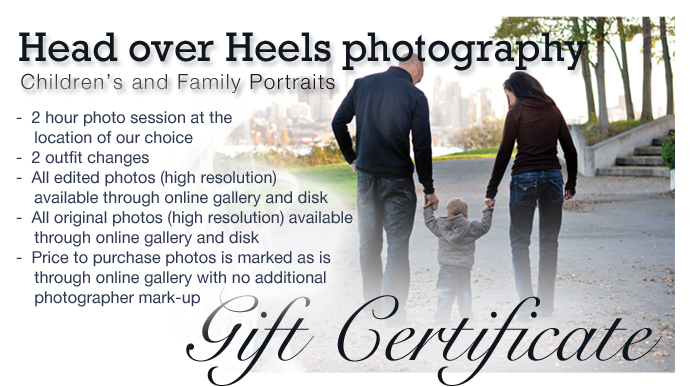 Everyone loves photos, so why not give the gift of a photo session. I've had a few people contact me about gift certificate opportunities for future photo sessions so I figured I'd spread the word that I now have official gift certificates available for purchase. Coffey- LOVE the gift certificates....what a great idea and love the picture!!! :) Can't wait to have you do a 6 month of Gavin!!! You're so good! Great idea, love these...but where is my family on these? whatever. wish you were closer for holiday photos!